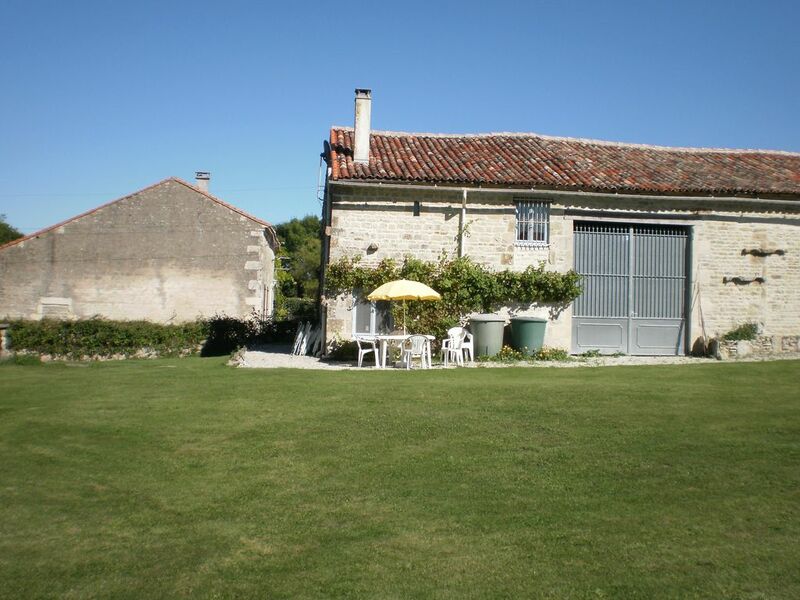 Our 2 gites are located on the edge of a traditional French village. Step out into open and spacious countryside, in a region renowned for its many hours of sunshine and filled with fields of wheat and sunflowers. This is an area of outstanding natural beauty, with dark skies for the star-gazer, and birdlife, deer and red squirrels for the lover of nature. Wildflowers abound. Although we are in 'La France Profonde', the nearest town is only ten minutes away and in just over an hour you can be exploring the old port of La Rochelle or enjoying the Atlantic beaches. The ancient cities of Poitiers, Angouleme and Niort are within easy striking distance, as are the Vallee des Singes (Monkey Valley) and Futuroscope. Bicycles are available for your use and for the adventurous canoes can be hired in nearby Ruffec. For the culturally minded, there are music festivals, Churches- some on the pilgrimage route to Compostella, and chateaux, Prehistoric and more modern sites of interest, something for everyone. There are 2 gites. The Cottage, simple in style, comfortably sleeps 4 but is also ideal as a creative's retreat. The Lodge is ideal for families with all mod. cons. There are beds for 6 but also 2 bed settees for larger families. The nearest airports are at Poitiers, La Rochelle and Limoges. There are fast rail links from Poitiers or Angouleme to Paris, Lille and Bordeaux and an excellent road network. Come and enjoy a peaceful self-catering holiday with us. Here there is space to expand and dream. We live in the main house with our dog Molly. We are a writer and a singer and we were looking for space to bring our work together and to offer hospitality to others. Les Jardins des Arts offers peace and tranquility yet with good links to a variety of attractions. Space is the keyword. We are on the edge of the village on chalk downs which have been inhabited since paleolithic times. The skies are dark so you can see the stars. There is space to breathe and stretch. We are rural but there are cities, towns, markets and attractions in easy reach. Swim in the shared pool or walk our labyrinth (building this year). Intermittent in Summer as copperwire only for whole village. The gîte and area are absolutely stunning. The pool is perfect and the gîte well equipped. Lovely rivers in the area for paddle boarding and canoeing. It's a very quiet area. The owners Bob and Sue are around if you need them and are very helpful and friendly. Perfect stay to get away from it all.